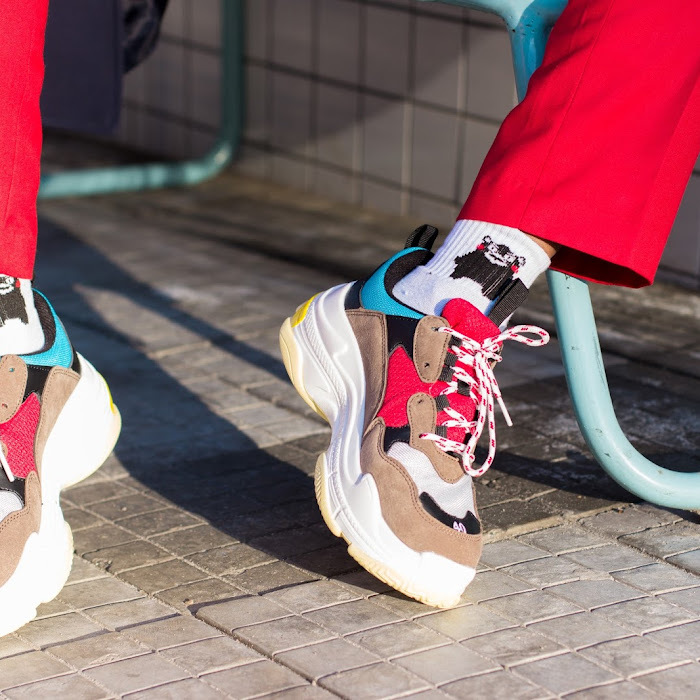 Are you getting ready for summer? 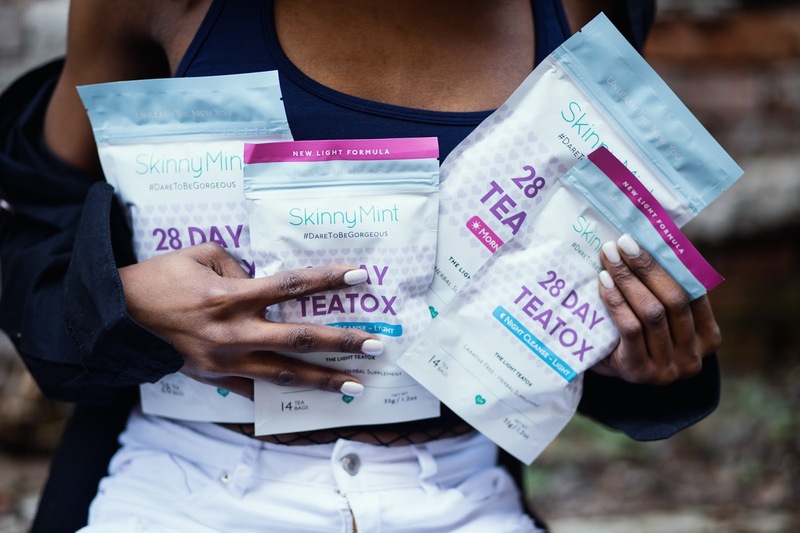 Build faster, for less with SkinnyMint Teatox. 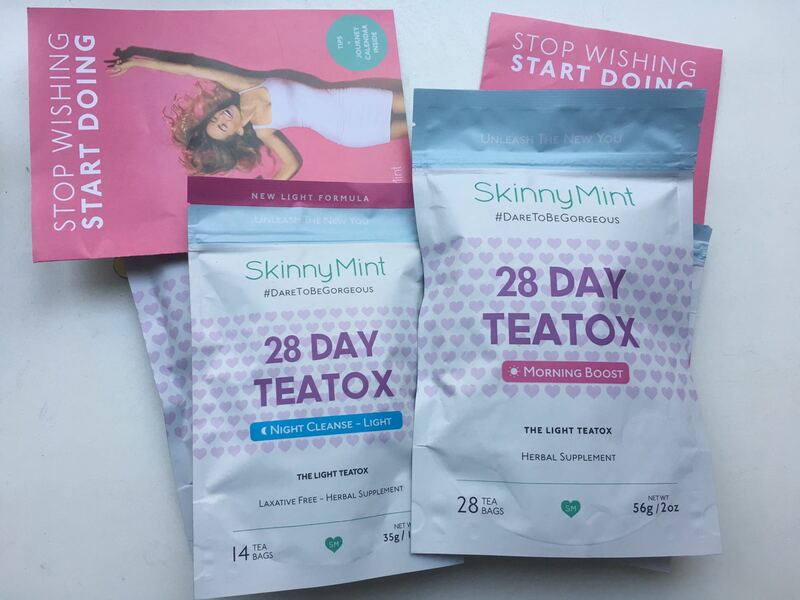 SkinnyMint is done in 2 easy steps, natural ingredients and is designed to help you kickstart a healthy lifestyle. Pair it together with healthy diet and an active lifestyle for the best results! 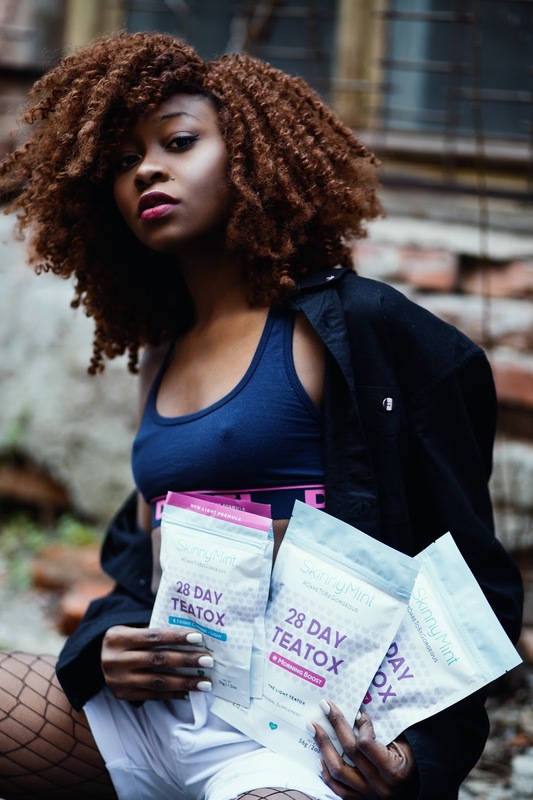 Let me start by explaining how it works : teatox is to help you kickstart a healthy lifestyle. 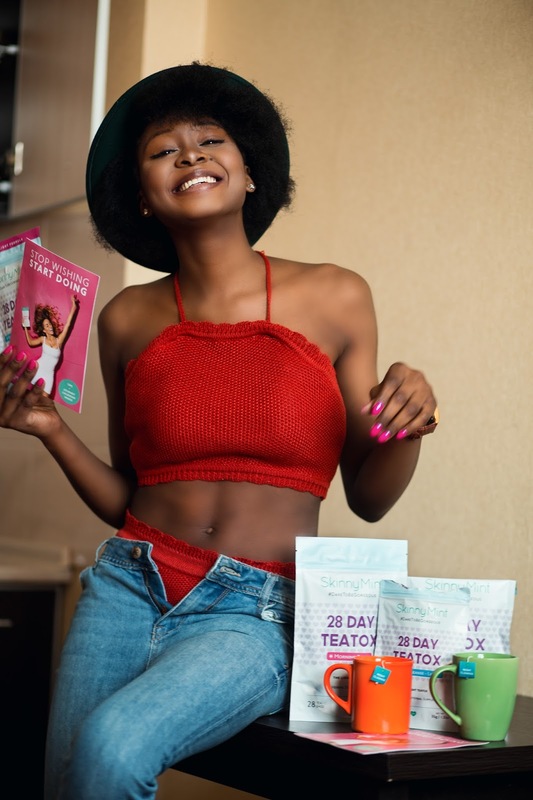 Most teatox systems come with both a morning tea which increases energy levels and metabolism, and an evening tea which is a colon cleanser. 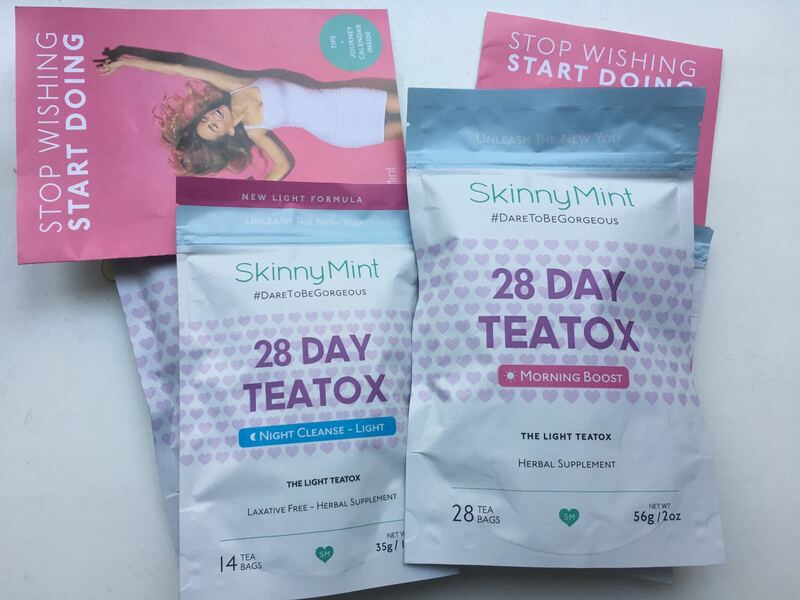 For someone interested in trying out SkinnyMint, the 14 day starter pack will be perfect for you! Uniquely formulated, the Morning Boost and Night Cleanse teas are combined in a easy 2 step program. 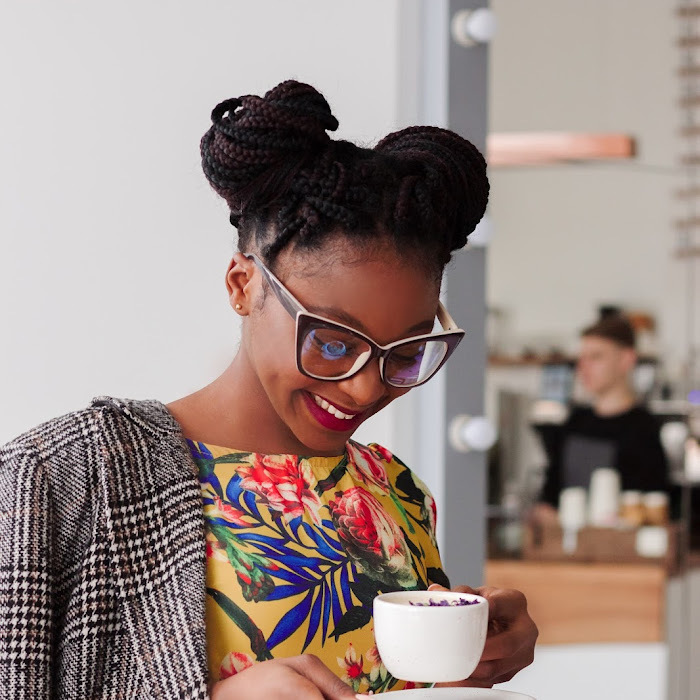 The Morning Boost is designed to give you a boost throughout the day and start the morning right*. It contains Green Tea, Yerba Mate and Guarana with a naturally sweet fruity taste, and can replace your morning coffee/ black tea. Night Cleanse is a laxative free blend and is the second step in the Tea Detox. As a bonus (Limited time promotion) it comes with a free Skipping Rope as a bonus. This program is uniquely formulated with all natural high-performing ingredients and is laxative free. It consists of 2 steps, the Morning Boost tea which contains green tea, nettle leaves, guarana fruits, yerba mate and dandelion. The Night Cleanse tea contains orange leave, nettle leave, peppermint, ginger root, lemon grass, licorice root and hawthorn berries. And here we go with the Besties Value Teatox (2x28 Day) which comes with 2 FREE Skipping Ropes for you and your besty, So much fun. 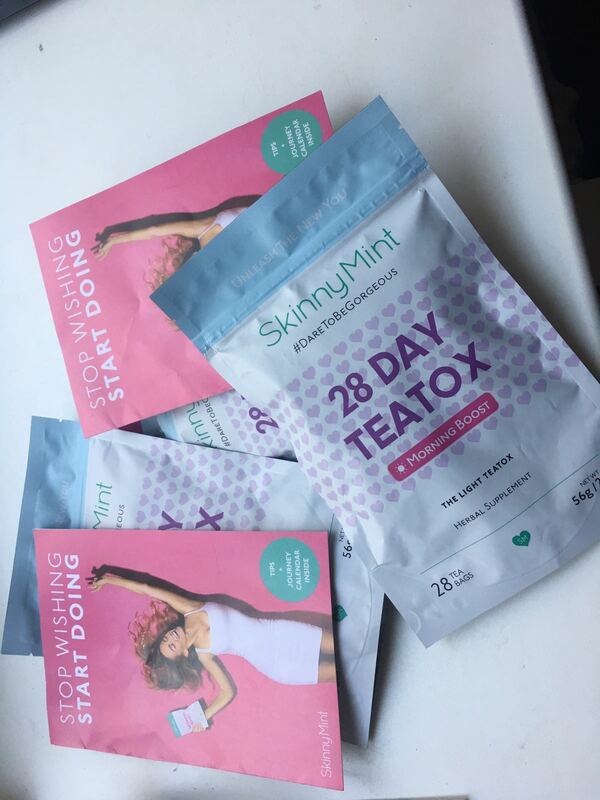 Start your Tea Detox Journey and kickstart the best month ever with the Ultimate 28 Day Teatox! This program is uniquely formulated with all natural high-performing ingredients and is laxative free. With the Besties Pack, you can take the Tea Detox Journey together for a healthier, happier YOU! Share the motivation with your best friend, partner, sibling or whoever else wants to kickstart the best month - and save money. Note : Very nice Aromas, Enjoy.